At Liberty Landscape Supply we pride ourselves on the quality of our products. For that reason we provide fast, easy and convenient delivery to anywhere within our delivery service areas – ensuring that you get the products or materials you need right when and where you need them. Schedule your next delivery with Liberty Landscape Supply, call us today! Landscaping can make all the difference in the curb appeal of a property, so why settle for anything less than perfect? 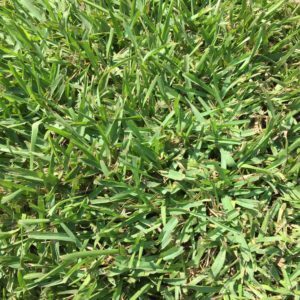 At Liberty Landscape Supply, we offer the Jacksonville and Fernandina Beach areas the best selection of nursery, garden, sod and landscape supplies close to home. We approach landscaping with an eye for detail and quality. Making your property pristine and attractive should be affordable. Come to us for garden-ready plants, mulches, rocks, and more at competitive prices. Our friendly and knowledgeable staff understands what matters when shopping for local landscape supplies and will help you find the right plants and accessories to get the job done, whether you’re a professional landscaper or a weekend warrior who loves to DIY your home’s exterior gardens. We make it easy to shop our inventory online using our plant finder. Plus, we offer convenient online ordering for local pickup or delivery to Camden, Duval, or Nassau County. Whether you’re shopping for bulk mulch in Jacksonville, FL or need affordable landscape supplies online, trust the job of making your property the best it can be to us! Looking for a particular plant or tree? Try out our plantfinder by clicking here. Liberty Landscape Supply carries many of the basic necessities that are hard to find elsewhere but that are necessary to make your project a success. We offer quality products such as steel edging, commercial grade weed fabric, drain field fabric, and tree-staking kits. We are always expanding this area of our business so check back soon if we don’t yet carry what you are looking for.